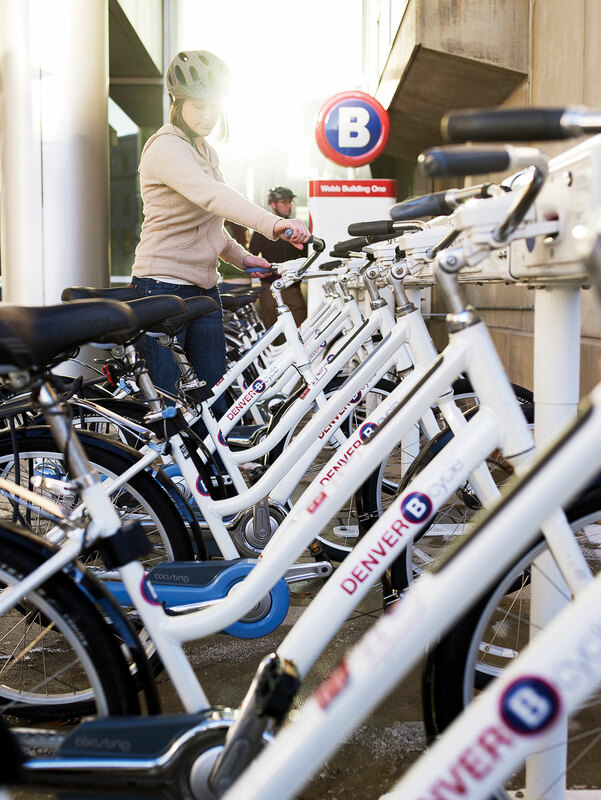 Pay online or in person to access a bike from one of dozens of Denver B-cycle’s locations. Then pedal around to your heart's content. Denver may be a mile high, but it's fairly flat. Pay online or in person to access a bike from one of dozens of Denver B-cycle’s locations. Then pedal around to your heart’s content. Denver may be a mile high, but it’s fairly flat.